Spring has sprung! Without a doubt the optimal time to start looking to buy or sell a home starts now. It has been proven that the most active months in real estate are April, May, and June. Here are some ways to improve the chances your home stands out above the flood of homes that will hit the market soon. A home that sparkles will sell better than a home that doesn’t. Buyers want to feel invited into a space and when the windows are spotless, and the sun shines in without dirt or streaks you are showcasing your home in its best light. Take time to rake the yard and remove the debris left behind from dead leaves. Trimming bushes and tree limbs can also bring a pulled together look to your yard. It is important to make sure that the vegetation doesn’t appear overgrown or block windows or entrance paths. Not only is important to showcase the interior of your home but also the exterior. It is important to edge the sidewalks and driveways as well; small details count when you are looking to sell your home. After a long, dull winter a little color helps to stimulate buyers urges. Yellow flowers are the best option when adding color around your home as it is known to stimulate buying. It is also a color that people associate with spring. Purchase some planters and start planting tulips and daffodils galore. A little natural happy induction in the form of some of spring color never hurt. A home should be clean from top to bottom. It is important to have drapes, curtains, and blinds thoroughly cleaned when listing your home. Get rid of the dust, the cob webs, and built up grime that has accumulated over time. Crisp window treatments and a crisp breeze are inviting. Let spring in! The carpets throughout your home should be professionally cleaned. The smell and look of clean carpets is appealing to buyers. They are looking for a space where they can move right in without having to do a lot of effort other than moving in. Hardwood floors should be refinished if they are in really bad shape otherwise a solid polishing should bring them back up to the level that buyers are looking for. This list goes on and on. The more presentable the home, the fewer issues the home has, the less work the home presents for the buyer, the higher the selling price and the faster the home will move off the market. Let the professional real estate agents at C21 Lady of the Lakes help you today! Professional realtors working for you. C21 Lady of the Lakes is a full-service realtor serving Livingston County and the surrounding areas with all their real estate needs. More information can be found at http://www.ladyofthelakes.com/. One of the first things that first-time home buyers should know is that it is going to take a lot of time and effort to find and finally close on a home of their dreams. In order to make the process as easy as possible and to help buyers make the best choices when purchasing a home. Below is advice from real estate experts to help you throughout the buying process. First things first, start researching as soon as you decide to buy a home. Look through magazines, search the internet, look through trade papers, and so on to find real estate listing and industry news. With the real estate listings that you have found, follow them through to their sale. Analyze the time it takes for a house to hit the market through to close. Note what the asking price was initially and what the home closed for. These trends will allow you to see the larger picture for homes in your specific location. The next step is to determine how much you can afford overall and monthly. Most often lenders recommend that buyers spend no more than 3 to 5 times their annual income on a home when you are able to put down 20%. It is also imperative to eliminate outside debts as much as possible. It is also key to figure out the monthly costs of maintaining a home. There are several online tools that help first time home buyers with calculating costs when purchasing a new home. It is also important to meet with a lender or mortgage broker to get preapproved for a mortgage. Obviously before you can buy a home you need the means to do so. Prequalification means that you have met the requirements set forth by the lender. Taking into consideration your income, debt, savings, and investments your lender of mortgage broker will tell you how much you qualify to borrow. Your next step is to find a local real estate agent to work with. Hiring an agent literally costs you nothing; you have nothing to lose when you have a realtor working with you. The seller compensates the realtor through commissions on the house when it sells. A real estate agent will provide you insight that only comes from living in an area. They also provide invaluable skills such as negotiations. After going through the process hundreds of times they understand the process better than those of us who only go through it a few times in our lives. When you start shopping for a home it is important to tour many of the homes in your price range even if they aren’t exactly what you have been dreaming of. It will help you see what is available. Take a note pad and camera with you to keep the homes you visit straight. After time it will be difficult to keep the homes you have toured straight. In each home you are serious about test out certain features such as the plumbing, windows, electrical, and appliances. Take a look around the neighborhood and evaluate how well the homes on the block are maintained, the traffic volume, parking, and such. It is important not to rush the home buying process. You will find the right home, but it may not happen right away. Make sure you negotiate a fair price, evaluating the cost at which other homes in the neighborhood have sold for, and reach an agreement. When your home goes into escrow it is time to finish up the remaining steps within the buying process. A home inspection is a must to make sure the home is a good investment and free of costly repairs. Home offers should be made on a contingency that the home passes inspection. If major issues are found the seller has a chance to fix the issues or renegotiate the sale. You as a buyer can withdraw the offer if you decide it is not in your best interest to purchase the residence after the inspection. Working with the lender you will then select your loan and have the home appraised. This process should be fairly simple and straightforward. As long as you are responsive in working together it will make this process painless. Once the paperwork is coordinated and you have determined the seller is the rightful owner and can legally sell the house you are buying you are good to set a closing date. Last but not least close on your home. Sign all of the paperwork (there will be a lot of it) and move into your new home! Mid-Michigan homebuyers know as spring approaches they will begin to face some stiff competition for available homes for sale. With home prices on the rise and fewer homes for sale, buyers need to make sure that they are fully prepared to purchase a home this spring season. To prepare buyers should look at becoming mentally and financially prepared. It is irresistible to peruse photos of homes, tour open houses and day dream about everything you want in a home however, it’s much better to be prepared for what you can realistically expect to afford. It is crucial for home buyers to have a definitive budget in mind when looking at homes. It is easy to be swayed into a higher price point when you aren’t prepared. This often occurs with home buyers who may have been outbid on a home previously. Bumping up your budget may seem like a surefire way to ensure you get the next house you bid on however be careful. A home even a few thousand dollars over your cap can really derail your goals. Purchasing a home is more often than not the largest investment that people will make. It requires people to dive deep into their past, current, and present finances. It is crucial to know how much you spend on a monthly basis on fixed and flexible expenditures and to understand how these expenses will change when you become a homeowner. Lenders provide a preapproval that allows homeowners a maximum at which they will be able to borrow. This is a starting point for establishing a comfortable price point on a new home and monthly mortgage payment. When homebuyers get serious about finding and purchasing a home it is time to consult a professional realtor. Locating a seasoned professional in real estate will help to ensure you have access to as many homes in your budget as possible, as soon as they become available on the market. A professional realtor agent will guide you through the real estate process from start to finish. Another professional you will want to meet with is a mortgage broker. They will go through the process with you to get you prequalified and go through different loans and options that are available to you. In some markets first-time homebuyers are fortunate enough to receive special financial credit offers to help make buying a home possible. It is important for homebuyers to know what they absolutely need to have in a home verse the luxury wants. In the fast pace real estate market, we are experiencing right now, buyers need to make sure that they are ready to make an offer when they find the right property. In order to do this buyer, need to research their priorities and areas where they will be able to compromise. Limiting your searches to homes that match your needs will also help save time as well as you won’t be wasting time on homes that don’t fit your need. This will come to no surprise, WINTER is here! After a mild winter here in Pinckney and throughout all of Michigan, the snow and ice has finally arrived. It is time to break out your favorite moon boots, puffy jacket, and bib overall snow pants, the sledding hills are open. However, if you are trying to sell your home, it can be an incredibly stressful time. Winter house sales are notoriously low, but we are here to help; after all buyers exist year-round not just when the weather is cooperating. Home buyers and sellers are fewer in the winter months. If you need to buy or sell a home quickly during winter, it is imperative that you work with a professional real estate company like Century 21 Lady of the Lakes. 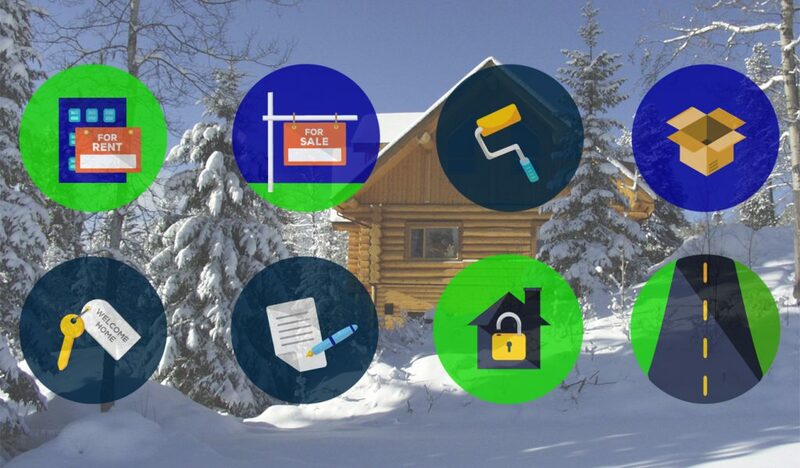 It won’t be a simple process, but when it comes to selling or buying a home, no matter the season, we have you covered. When visiting homes, buyers are trying to picture themselves in them. They want to feel safe in the place that they choose to call home. Part of this is the ability to easily move about without concern. Make sure you clear the snow and ice from your driveways, sidewalks, backdoor entrances, and porches. Salt and de-icer should be used in all areas that will need to be accessed, it shouldn’t be icy where buyers will be. Clear icicles, make pathways to ease access to the backyard, generally making it easy for sellers to move about the property. The inside of your home should make buyers feel as if they just stepped into their new home. A few key elements can help with this. First, turn the thermostat up! Not too high as to roast them but the home should be comfortably warm. Next, it is important to take time to bring in the natural sunlight. Open up the curtains and shades in your home to maximize the natural light. If your home is showing during the evening hours, it is equally important to have light but obviously in a different form. Lamp lighting and candle light can have a similar effect. If you are having a few showings in one day in may be a good idea to set out some waters, coffee, and fingers snacks. After a long day of looking at homes it will be a welcome treat and a way to allow your home to stand out from the others. Buyers will want to know all about your home because it could someday soon be theirs. Have as much information available as possible on key elements such as the foundation, appliances, water heater, windows, HVAC, plumbing, electrical and roof. Buyers will want to know when they were installed, last serviced, and about the maintenance that has been done. Homeowners appreciate when sellers are good at keeping records about their home’s health and will put their minds at rest. Your home can look a little cluttered during the winter. Outdoor gear is big and bulky, and Christmas decorations can be overwhelming, and just general stuff seems to take over in the winter when we are too cold to put things in their proper place. Take time before listing your home to pack up the non-sensical things that have accumulated over the years of living within the space. The goal is to unstuff your home so that buyers can see how ample and spacious the home is. This is one tip not to ignore. Rent a storage unit and simply move things that are not needed into it until you sell your home. When all of the closets and garage aren’t bursting at the seems the home appears roomier. Author adminPosted on February 14, 2019 April 4, 2019 Categories c21 Lady of the LakesTags Brighton, Chelsea, Dexter, Homes for sale, Howell, Pinckney, Real Estate Listings, Selling Homes, South LyonLeave a comment on This will come to no surprise, WINTER is here! A lot of first-time home buyers get in over their heads. They fall in love with a home before doing any research and end up signing on the dotted line with a home that is too expensive, needs more work than they expected, and are driving longer then they had expected to work each day. There is a lot to think about when buying a home, three main issues being the offer price, the condition of the home, and location. The offer of the home should be based on more than that it is comparable with other homes on the market. A home’s asking price is the price that is set before an appraisal has been done. In reality an offer should than only be based on comparable houses in the area that have already closed and not by what others in the area are asking for their homes. When you are pricing out home repairs don’t automatically assume that they will be up into the thousands of dollars. Also, don’t assume that you can take the cost of repairs off the offer price of a home as some sellers have already adjusted the asking price to consider these repairs. The area in which the home is located has a lot to do with the price at which the house will sell for. Consider the location of the home for a number of reasons including how close it is to work and school but also be aware of the physical location. See if there are train tracks close or it is in a high traffic area, those things will affect the resale value when go to sell. Consider if granite counter tops and an additional bathroom are worth the inconvenience of a commuter train coming through the backyard every day. Now-a-days with the internet there is a lot more information available in real time to both realtors and first-time home buyers. It is important to keep in mind that not all of the information on the internet will be accurate, but it is a starting point. Some websites offer free estimates to value your home. They make a lot of assumptions about the value of properties in a neighborhood based on other homes that have sold but for homes that are non-conforming these can be inaccurate. Consider these to be generalities and not substitutes for the research a realtor provider or an appraisal gives. I am Ready to Buy My First Home. Where Do I Start? The industry is saturated with information for first time home buyers. It is often a bit overwhelming when you are trying to gather initial information on where to start, who to turn to, and what to expect. In order to be fully prepared to find, finance, and move into a new home it is crucial to be prepared. Planning for a major event such as buying your first home is one of the best ways to remove the stress and anxiety that usually comes with it. The first step to buying your first home is the one you are taking right this very moment, research. As soon as you get the inkling that you want to start looking into buying a home start reading as much reliable information as you can get your hands on. Websites, newspapers, industry magazines, and real estate books can all provide good information. It is also appropriate to start perusing listings to note the time that homes you are interested in are staying on the market. For research purposes take note of changes in asking price as well, all the information gathered at this point gives you a better sense of current housing trends. The next step that we recommend you take is to speak with a mortgage broker to determine how much of a house you can afford. This can be a little tricky. It is not always wise to spend as much on a new home as you qualify for. Most home buyers want to still be able to live comfortably while owning a home. Trust your instincts when you are determining a housing budget. More often than not lenders will approve buyers for between three to five times the amount of their annual income for a threshold. Most buyers will have a twenty percent down payment and will carry other debt. This amount usually holds this in account. Ex. If you are currently making $25,000 a year and your spouse is making $55,000 a year this puts you at a total income of around $80,000 a year. This means that lenders may feel comfortable lending you between $240,000 and $400,000 to purchase a home. This doesn’t take into consideration your down payment however does give you some figures to start with. When you meet with a mortgage broker than can start the process of getting you prequalified and preapproved for a mortgage. This will give you a definite answer to how much you are approved for and can actually spend on your new home. In order to start this process, you will need to provide your mortgage broker with financial paperwork such as documents on income, savings, investments, and debt. Through this process brokers will reach out to a variety of lenders to verify your financial status, credit, and figures on borrowing from them. Each lender will have different requirements, rates, and so forth. A mortgage broker works as a middle man between you and the lenders to find you the best rates and terms. Next you will want to find a local real estate agent to work with like C21, Lady of the Lakes out of Pinckney, MI. A realtor is an important piece of the home buying (and selling) process and will be your biggest advocator throughout the process. Agents are not only full of useful information on homes, neighborhoods, schools, and such, they are also important to you during negotiations. Also, it is nice to note that realtors are not compensated by the buyer and instead are paid a commission from the seller of the house. This means you pay nothing for their professional advice. Real estate agents are important partners when you’re buying or selling a home. Real estate agents can provide you with helpful information on homes and neighborhoods that isn’t easily accessible to the public. Their knowledge of the home buying process, negotiating skills, and familiarity with the area you want to live in can be extremely valuable. And best of all, it doesn’t cost you anything to use an agent – they’re compensated from the commission paid by the seller of the house. After you have hired an agent comes the task of finding the perfect home to call home and make an offer. When you are touring homes it is important to bring along a camera and create a checklist. This will help in keeping the different houses straight. After seeing as many houses as you will see during this process it will be hard to remember the pros and cons of each. Document as much as possible along the way. When you find a home, you think you could be interested in do a more thorough examination of the space. Test the plumbing by running all the faucets at one time to get a feel for the water pressure you can expect. This will also give you a good assessment of the hot water in the home. Next test the electrical outlets. It is amazing how many times we go into homes where not all of the electrical switches or plugs are working properly. This could be an electrical issue inside the home, so it will save you money to discover it before paying for a professional home inspection. Another element to look at is the windows, doors, and attic/roof. Check to make sure doors and windows properly shut and seal and that attics are without mold or water issues. If you haven’t already, take a look at the neighborhood. Check to see how well other houses are maintained. Evaluate the amount of traffic through the neighborhood, parking, and accessibility to shopping, schools, and more. Relators will help throughout this process by supplying you with data on how much comparable homes nearby have sold for. This will help you to negotiate a fair asking price when you have decided on a home to put an offer on. When you have reached an agreement with the seller on a fair price, the home will go into what is known as escrow. At this point you will have a number of days to get an inspection, make changes to the offer, and complete the home purchase process. Most banks will not lend to first time home buyers, or any home buyer for that matter, without first having their investment properly inspected. All offers are written in a manner known as contingency. This means that the offer is contingent on the inspection. If the inspection goes poorly or items are found that need to be repaired, you will have time to renegotiate or withdraw your offer without penalty. Once the inspection has been finalized and the home repairs (if needed) have occurred it is time to get your financing in order. Your mortgage broker already has in place the preapprovals that you were given earlier in the process. This makes the process of selecting a home loan quicker. Lenders will give you a good faith estimate at this juncture that states what you can expect the monthly payment to be, taxes included, the time you are borrowing the money for, along with the rate at which you are borrowing funds. It is important as well to understand the type of mortgage you are getting. There are a few options including: Conventional, FHA, VA, USDA, Adjustable, and so on. Mortgage lenders will often send in a home appraiser to ensure that they are making a solid investment in loaning you the amount of money they are for the home. This ensures you are paying a fair price. At this point a lot of paperwork is shuffled between real estate agents for the buyers and sellers along with the lender, closing, and title company. This is all necessary to make sure ownership of the home transfers properly. Once all parties have reached an agreement a closing date will be set. At closing you will complete a final walk through of the property, sign closing documents, and exchange the keys. Some sellers negotiate a time between closing and when they have to vacate. If this is the case with the home you are purchasing, the seller will rent the home from you until the agreed upon move out date and then you will receive the keys to the home on that final date. Author adminPosted on January 10, 2019 April 4, 2019 Categories c21 Lady of the LakesTags Brighton, Chelsea, Dexter, Homes for sale, Howell, Pinckney, Real Estate Listings, Selling Homes, South LyonLeave a comment on I am Ready to Buy My First Home. Where Do I Start? In order to successfully buy a home during the winter season it is important to understand the pros and cons of the situation. When buying a home in the winter both sellers and buyers must be flexible and patient with one another when it comes to viewing properties and choosing a closing date. Never feel pressured to buy a home that isn’t exactly what you want. If the inventory you are looking for isn’t there in December, maybe it will come available in January. Winter can be a perfect time to buy a home even though not the traditional time to do so. Buying a home during the winter season can prove to be cost effective for savvy, patient, buyers. Below are some tips to making the most out of buying a home right now. No matter what season you buy your home in there will be pros and cons, the winter season is no exception. It’s important to view the challenges and benefits of winter home buying. One benefit of winter house hunting is the decrease in competition. Fewer buyers are out searching and there fore there is more room for negotiations. During the winter there are fewer bidding wars and home prices are on closing, on average, for $3,100 or less. Another advantage of buying a home in the winter is the speed at which you can go from finding the home of your dreams to closing on it. Sellers are motivated to move, and buyers are ready to settle in. With fewer homes on the market to view the decision-making process becomes a bit more limited and therefore the focus is more directed. The major down fall with purchasing a home in the winter is that it is a mess. The temperatures are not conducive to be in and out of the car and house all day. Snow, puddles, and ice can be difficult to navigate. The property can’t be completely viewed in all its glory when snow is covering decks, patios, and driveways. Buyers must rely on photos or video taken when the snow was not covering the landscape. The home inspection must also be done in the winter and thus certain aspects like the exterior of the home will not be able to be as thoroughly examined. Make sure you hire an inspector that has experience in winter home inspections. The winter season is filled with holidays which we already know can be a stressful time of year. Even the most motivated seller can find themselves unable to drop everything to be prepared for a walk through. Be flexible in your scheduling of viewing homes, inspections, appraisals, and so forth. It is important to ask for documentation for work that has been done around the home. Find out when the roof was last replaced, when windows were last updates, furnace maintenance performed and so on. This will give you an understanding on when you should expect upcoming repairs to be needed. There really is no reason to wait until spring to sell your home if you find yourself ready right now. The winter weather doesn’t have to give you pause. In fact, if years past is a predictor of the future, selling your home during the winter months has gotten easier. This is especially true as the inventory for homes continues to struggle to meet buyers demands, leaving home buyers to seek out homes throughout the year and not just during the spring and summer seasons. Winter home buyers prove how motivated they are to purchase a new home each and every time they layer up to go house hunting. Think about your motivation even with the idea of opening up your home for walk throughs even though the beauty of the snow has faded into the muck of melt. Winter sellers and buyers are some of the most serious, motivated individuals. They are ready to find what they are looking for if only to prevent having to trek out and about in the cold once again. Although there are fewer buyers throughout the winter months, their motivation is higher and therefore they are less concerned with the frivolous details that can lose a sale such as the number of days the home has been on the market. During spring, a home that has been on the market over 50 days gives buyers the impression that something is wrong with the home. This criterion however is not the same for homes for sale in the winter where homes are expected to be on the market a bit longer just because of the decreased number of buyers looking. Let’s face it, there are fewer homes to choose from in the winter, so the competition isn’t quite as fierce as it can be in the spring and summer months. Home sellers are most likely looking to sell their home because they have found one, they are interested in purchasing. Negotiation when a contingency is in place may be more acceptable during the winter months where there are fewer buyers competing to buy your home. The holidays are upon us! 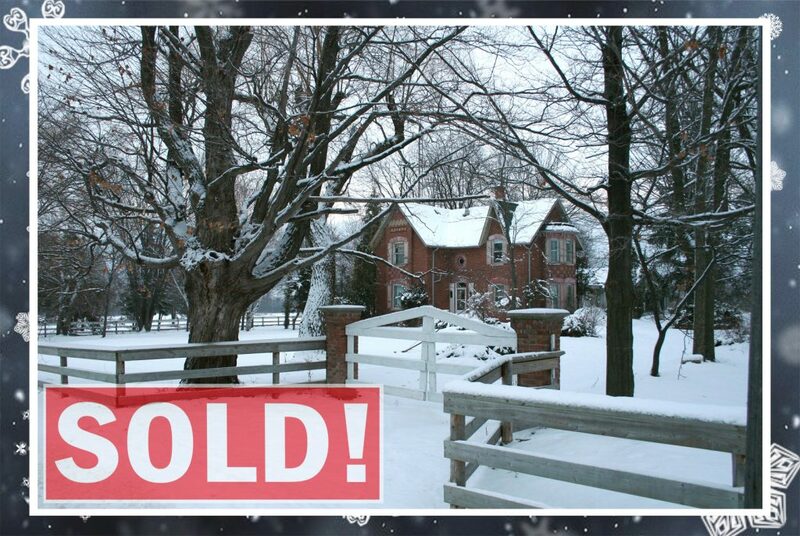 Some of us are seeing snow flurries, the cold temps have settled in, and you need to sell your house! While most of us are busy preparing for family gatherings, feasting on festive meals, and wrapping last minute presents some of us are preparing to relocate. Yep, you probably guessed it, the holiday season is not ideal to be selling or buying a home for most of us. Our plates are already too full and the last thing we want to be doing is having people trekking through our homes in wet boots. It is also not an ideal time due to the already abundant financial and emotional stresses that find most of us during the holidays. This is how the experts at Century 21 Lady of the Lakes can help! If you are trying to sell your home during the madness of the holiday season it is not time to over price your home. Listen to your realtor, they know what they are doing when it comes to pricing your home to sell. Buyers often have the luxury of waiting until the warmer weather approaches if they think your asking price is too high. Buyers have the option to keep looking, do you have that same luxury? All sellers want to sell their homes for the highest price possible, however it is important, especially given the time of year that you listen to your realtor. They know what you can expect based on the current market, the sale price of other homes in your area, and the amenities your home has to offer. Create an environment that is open and inviting. Offer buyers incentives to buy your home and deal with moving in the winter. Consider updating the appliances in the kitchen or covering the buyers closing costs. Sellers concessions and improvements to the home are just some of the many ways that you can make your home more appealing to buyers. Buyers want to be able to picture themselves living in your home, so create an environment that does this for them. Create the holiday spirit by staging your home with all of your very best décor. Create curb appeal with outdoor decorations, fill the house with festive smells, and create a space that buyers cannot resist. A space where they can totally immerse themselves in as their own. As miserable as it is to have people trampling through your house, think about the buyers who are trekking in and out of homes day after day. Of course, this would put even the jolliest home buyers in a bad mood, so it is your job to make sure that doesn’t translate into how they feel about your home. You can help create a more positive vibe by creating a warm, welcoming space. Light candles, start a fire in the fireplace, provide warm beverages, and homemade treats. The longer they linger in your space, the more likely for it to feel like their space. If you want a job in an industry where everyday is different and no two transaction are ever the same, you into real estate. A boring day just doesn’t happen when you are working daily with a wide variety of people and personalities. As much fun as it is to work with several different types of people on a regular basis, there are some challenges that can arise when working to find a buyer their dream home or a seller who is selling more than just a home, but an abundance of memories as well. Realtors do not have control over local real estate markets. It is inevitable that local real estate markets will have ups and downs that need to be dealt with. The longer you are in real estate the more you will see the market conditions fluctuate. The market conditions will play a huge role in if a home sells or not and if it sells at, below, or above the average market value. Realtors must understand and recognize if they are currently dealing with a sellers or buyers’ market. The advice that you offer to your clients will make a huge difference in their perception and the outcome of the transaction. Many times, the sale of a home can be quite emotional. Real estate agents will get the full brunt of the emotion’s sellers are feeling during this process. A wide range of emotion is felt from sadness, stress, excitement, uncertainty, and nervousness. Selling a home is a time of mixed emotions for homeowners and you as their agent will need to help them overcome the feelings that they are having to get to the point of sale. It will be important to remind the sellers of their initial motivation to sell, the benefits that come from the sale of a home, and how these play into their situation. It is important not to become invested emotionally yourself in the sale of any home so that you can remain impartial throughout the process. There are many sellers and buyers out there that will take your recommendation when it comes to putting an offer in on a home or listing their home for sale. However, there are times when people will feel like their home is worth more than it is or that a lower offer is better for later negotiations. Price points are the biggest challenge most realtors will face with their clients. It is important that you as the realtor educate your clients with concrete evidence and current stats to validate your reasoning. Point out how long comparable houses have stayed on the market and the difference in pricing points. Most of the time real estate professionals can work out issues with their clients by listening to them and providing concrete information to reassure them. Proper wording and empathy can often overcome any challenge that arises to help facilitate a compromise.